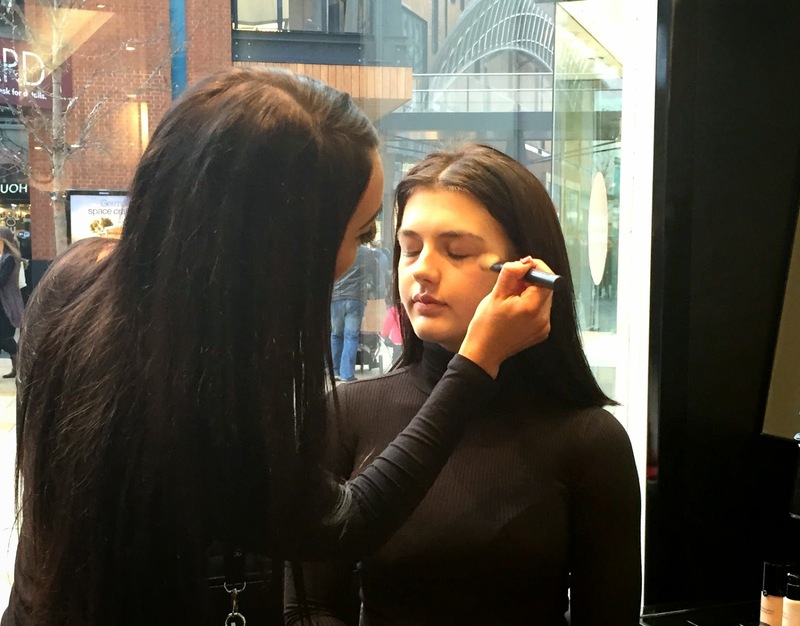 At the weekend I was lucky enough to attend a bloggers launch event at the new Giorgio Armani counter in House of Fraser Bristol and I have to say that when I was first invited, I was very excited. And I was right to be as I had such a great afternoon meeting new bloggers and learning all about the Armani products. Being the first and only Giorgio Armani counter in Bristol, the lovely ladies introducing us to the brand made sure that they gave us all of the information they could whilst still giving us a great time. I’ve never thought of using Armani beauty products before, stereotypically thinking that they would be extortionately priced, but I was surprisingly wrong and now have a couple of products set ready on my wish list. 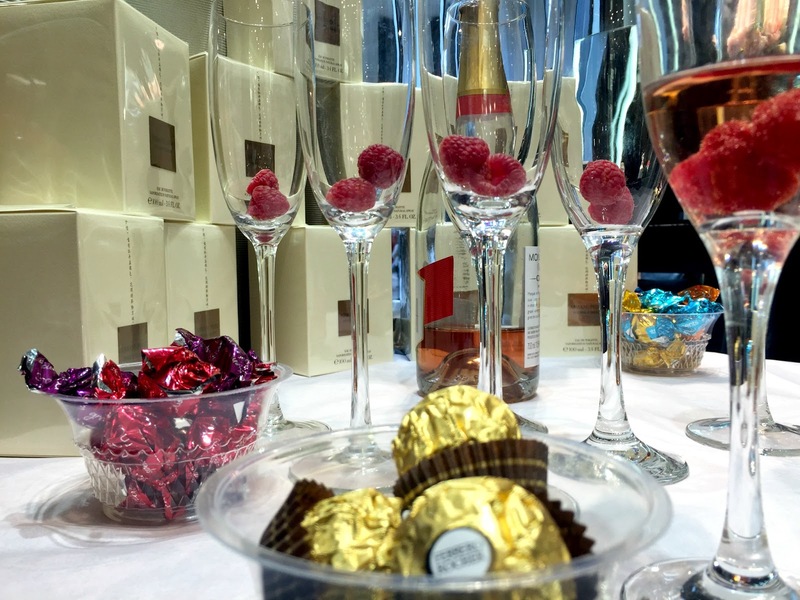 Greeted with a lovely glass of Raspberry champers and some Ferrero Rocher, the afternoon got off to a brilliant start as we all introduced ourselves and settled round to watch a product demonstration. The gorgeous Ellie was our model for the hour (can we please just appreciate the fact that this girl’s face is absolutely stunning?!) and through the application of her makeup we learnt little facts about each product. I loved the eye-brow technique, using the Eye & Brow Maestro and the angled Eye Maestro Brush (which also has an eyebrow brush on the other end) – using little strokes, they managed to replicate the look of natural brow hairs. I was amazed that they looked so natural and really want to get a hold of this myself and give it a go! I also really loved the look of the Sun Fabric bronzer, which at £50 does seem quite steep at first but it really does give a gorgeous shadowed contour effect instead of just looking brown or too golden. Both of these products are now on my wish list and I can’t wait to get my hands on them! After the demonstration and introduction to Giorgio Armani makeup, we were all matched to our perfect shade of Luminous Silk Foundation and given a sample to try at home. Unfortunately, my shade wasn’t available at the time due to samples having not arrived in time, but my lovely friend Abbee actually bought the foundation in the same shade as me and has pumped me out a bit to try (the little gem that she is). We then all chatted and mingled a bit more, asking questions and photographing to our hearts content until it was time to head off home (or in mine and Abbee’s case, head off shopping). We were given a generous goodie-bag each and had our time to make any purchases that we wanted to. I had some money left over on a gift card from Christmas and so bought myself the Fluid Master Primer at £35. I ran out of all of my other primers and so thought this would be the perfect time to give it a try. As you can see below, we were very spoiled with our lovely gifts! A beautiful Giorgio Armani Parfums wristlet makeup bag and also a full size Rouge D’Armani Lipstick in the most delicious deep plum colour. Further reviews will come for these products. Gifts: Giorgio Armani Parfums makeup bag wristlet and Giorgio Armani Rouge D’Armani Lipstick in 611 Plum. A massive thank you to the lovely ladies at the Giorgio Armani counter in House of Fraser Bristol for hosting the event, I had such a great time and am loving the products so far! 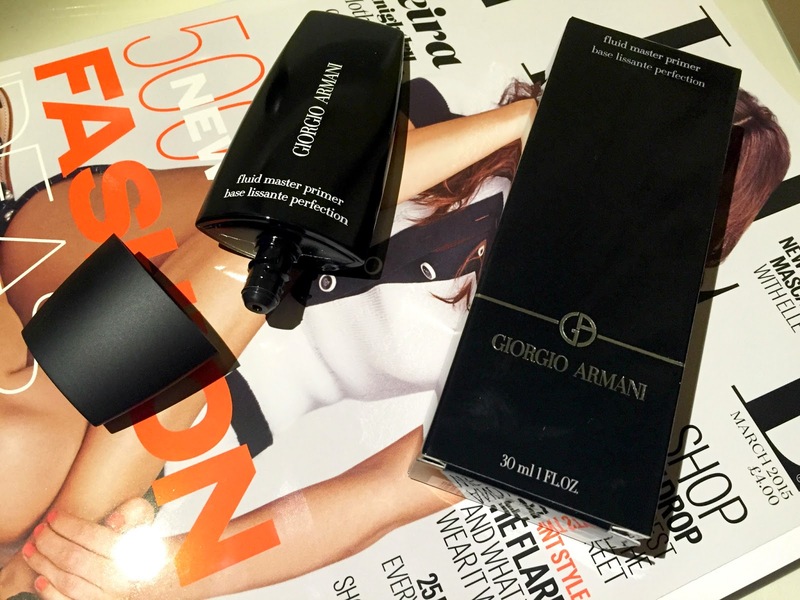 Have you ever tried any Giorgrio Armani Products? Let me know your recommendations in the comments.